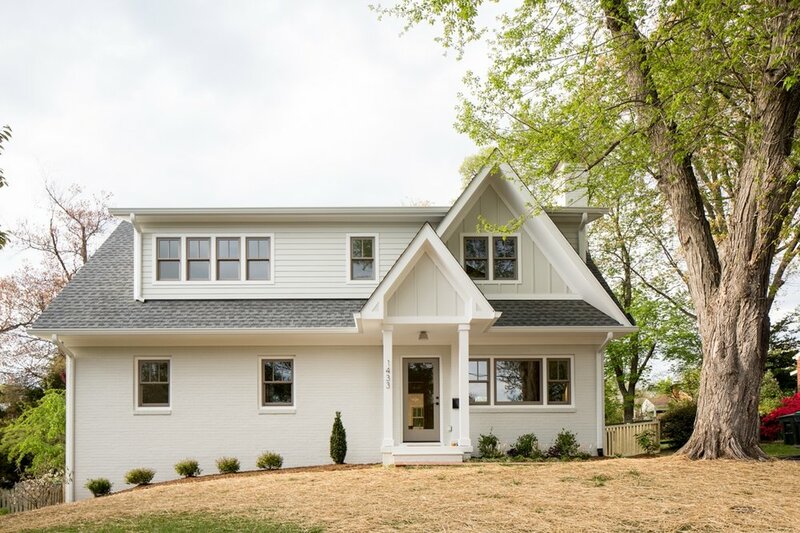 We're a husband and wife team combining our backgrounds in architecture, building, and real estate to reimagine renovation in Charlottesville, Virginia. We believe that thoughtfully designed spaces lead to more thoughtfully-led lives. The experience of living in a space you truly love is a product of countless moments, large and small. Our process reflects this belief: end-to-end consideration of the nuance of space and the details that contribute to it. A ubiquitous, 1950s red brick ranch loses its roof for a radical transformation. A 1960s brick ranch gets a Pacific Northwest-inspired facelift and an end-to-end renovation. A crumbling 1930s bungalow is restored to its former glory with modern touches that nod to the house's history. The surfaces of a 1950s cottage are carefully peeled back to reveal structure and warmth in HubbHouse's birthplace.